Chilly Temperatures in the air, what better way to get to know the Elgin Police Department than over a cup of McDonald’s Hot Chocolate. 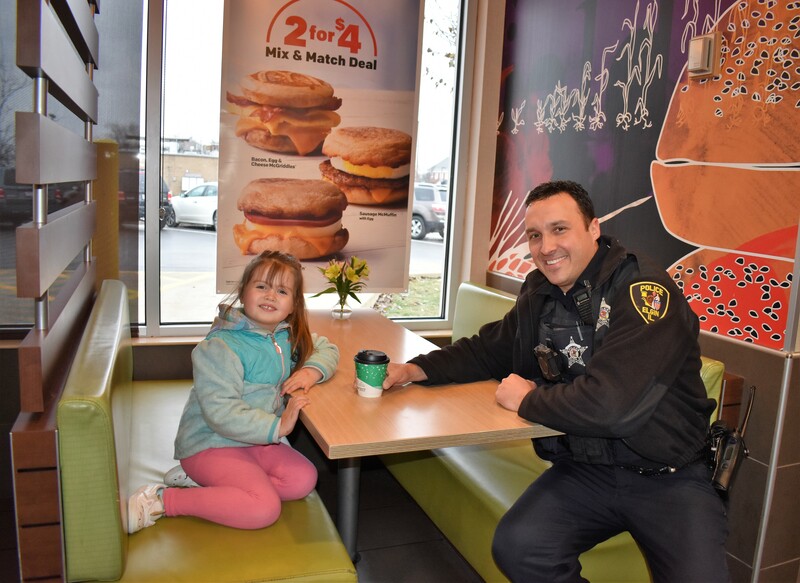 The Cocoa with a Cop event, hosted by the Elgin McDonald’s, on Tuesday, December 4, at 1165 N. McLean Blvd., which aimed to bring the community together did just that by serving up complimentary Hot Chocolate to the customers during this event. David Bear, Owner – Operator, of the Elgin-based McDonald’s franchise, said that taking part in such community-building events help to bridge relationships between residents and the local police force. Bear says events like these are a great opportunity for residents to come and ask questions. This was the Elgin Police Departments third Cocoa with a Cop event this year. 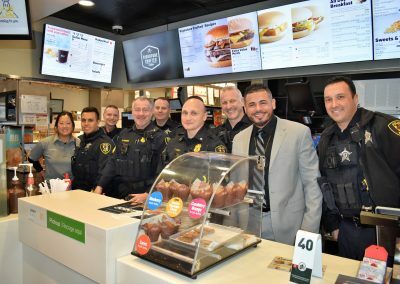 Many of the Police Officers have become pros at making McDonald’s Hot Chocolate and serving them to the Elgin community. Thank you to all of the officers that attended the event to personally meet and greet those in attendance. Several families and children from the community came to enjoy Hot Chocolate made personally by Elgin’s Finest. “We are proud of the role we have maintained in Elgin and we are happy to see the community and the local police department enjoying this fun and unique event. This is how great relationships are formed and maintained.”Bear said. 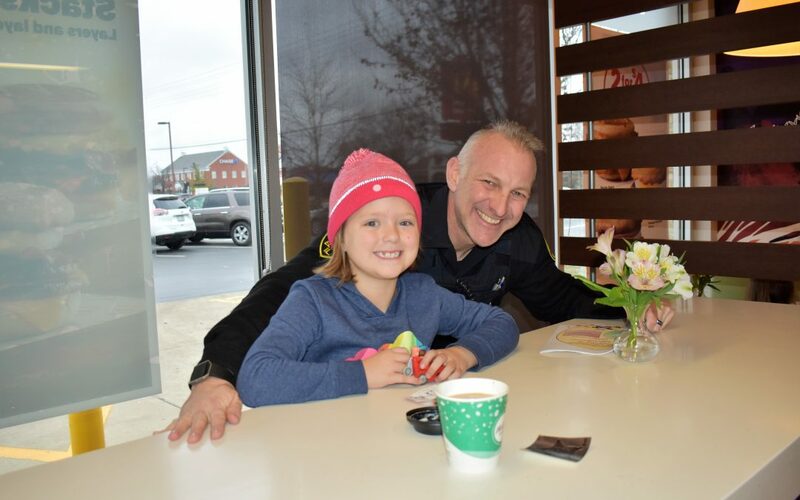 “We are grateful to Officer Ricky Demierre, who contributed to the coordination of the Cocoa with A Cop event, and to all the officers who came to the event, and helped serve McDonald’s Hot Chocolate. This event was presented by The Bear Family Restaurants and Elgin McDonald’s Owner-Operator, David Bear. Like us on Facebook and visit our Bear Website.